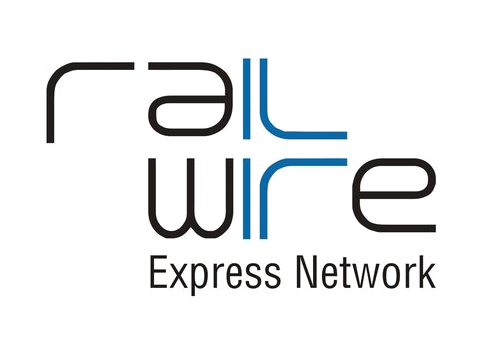 RailWire broadband services is a retail Broadband initiative of the RailTel, with a mission to make available “ICT to Common Man” & “Internet, Education and Health Services to Masses”. RailTel envisaged for extending broadband and application services to the public including remote areas. RailWire broadband services in Bhubaneswar provided by Newmoon. RailWire offers content & applications-driven network, flexibility & affordable pricing, all in one. RailWire aims to become a hub of local information, and a platform for rendering communication, infotainment, education, health and community services to the masses. RailWire is all about managing the end-broadband-customers through own infrastructure or in certain cases, shared infrastructure/last mile access like fibre to the building (FTTB), fibre to the Home (FTTH) or similar technology. For NEWMOON, creating customer-value is the top priority. In our attempt to realize customer happiness beyond customer satisfaction, we are pushing for internal innovation in several regards. We will continue to provide quality services that will save our customers time and money. RailTel is perhaps the only pan-India operating ISP who doesn’t have to slow down with the burden of legacy network pile-on. With several BSO’s and cellular operators availing RailTel’s NLD services, its initial market presence was felt as a “carrier’s carrier”. Subsequently, it started servicing several corporate business houses for their (VPN) connectivity requirements, and now retail – with RailWire. RailTel has set-up a countrywide circle of the state-of-the-art SDH/DWDM backbone optical transport network using the latest of technologies. More than 400 cities covering over 42,000 RKMs across the country are connected on the network with multiple STM-16 (n x 2.5 Gbps) connectivity. 400 Gbps which is further upgradable to 800 Gbps. It is a pan-India ultra-high capacity DWDM network over 10,000 RKM. A multimedia telecom network using SDH/DWDM based transmission systems and high end MPLS-IP routers. RailTel’s backbone Transport Network has been configured in multiple ‘Self-Healing’ Ring architectures which provide for redundancy by automatically redirecting and switching traffic from failed/degraded routes for an uninterrupted service ensuring maximum up time and service reliability. The network supports multiple ring protection schemes. The network has been designed in such a way that full redundancy is available for bandwidth between any two points. The whole network is managed by centralized network management system & operation support system (NMS & OSS) centrally located at New Delhi with back-up facilities at Secunderabad, Kolkata and Mumbai. RailTel uniqueness is about its ability to offer the best quality service (QoS) from a single unified network with pan-India presence. This Circle of the state-of-the-art network enables point and click provisioning of the bandwidth and other services from anywhere to anywhere in the country. It enables provisioning of traffic in any granularity from 2 MBPS to multiple of Gbps (n x Gbps) from its country wide strong backbone network. RailTel & RailWire is set to spread Telecom revolution in the remote and backward areas of the country. Our country-wide MPLS-IP backbone network will provide a whole range of VPN & Internet services. The network has been built using high-end routers of Juniper network. The network supports services like Layer 3 and Layer 2 VPN services, broadband internet access and multicast services. The MPLS network has PoPs at 40 cities across the country and is in process of being extended to other cities/towns. The MPLS Network Operating Center (NOC) is also equipped with Dorado Redcell and Infovista for network provisioning and performance management. HIGH QUALITY: Our primary focus in developing our products is high quality and ease of use; we believe that simplicity is the key to elegant design. Rigorous application of this approach has made our products the foundation on which our client’s satisfaction is built. FAST FRIENDLY SERVICE: Dealing with our trained and competent professionals will give you a feeling of satisfaction that is hard to get these days. We can do this because our group of people have become a team that has developed a habit of helping all – each other and clients. CLIENT SATISFACTION: Experience has taught us that long term retention of clients can be built only if clients are continuously satisfied; therefore, we give this the highest priority. We also understand that referrals only follow full approval of our services creating a win-win relationship for the company and our relationship.